4PM Bar was Kushal Aradhya’s entrepreneurial idea nurtured by iCreate, Ahmedabad. 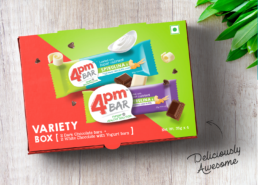 A Spirulina based Nutrition Bar to satisfy the odd-hour hunger pangs in the most healthy fashion. 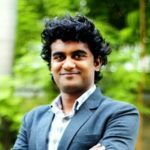 While the idea was great and got many supporters, Kushal soon realized that the packaging and communication he had developed with help of a freelancer wasn’t doing justice to his vision. That’s when Almond stepped in to understand, analyse and become custodians of his vision and to bring that to life. 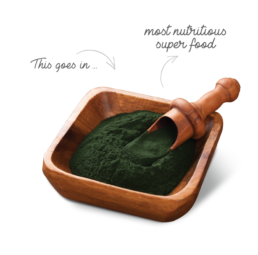 Spirulina is the most nutritious Super Food on the planet - one that NASA recommends to their astronauts. However, it stinks and tastes bad in its raw form. The challenge was to present Spirulina to the youth in the most exciting format, making them crave for it. An entire new Design Language was crafted to reflect the spirit of the youthy TG and essence of the Brand proposition. From Brand Identity to Pacakging Design, messaging to tone, everything was re-conceptualized and recrafted for an ambitious launch. The team is highy creative and spends good time in understanding the product and researching the space. The variety in approach and their flexibility in work is really impressive.